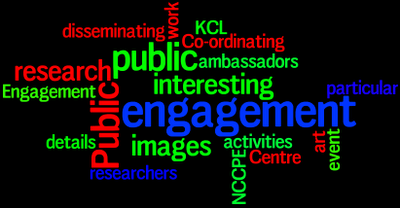 On 7th November The National Co-ordinating Centre for Public engagement (NCCPE) ran an interesting and informative event for Public Engagement ambassadors at King's college, London (KCL). Held within KCLs new Museum of Life Sciences, providing an interesting backdrop to the event. 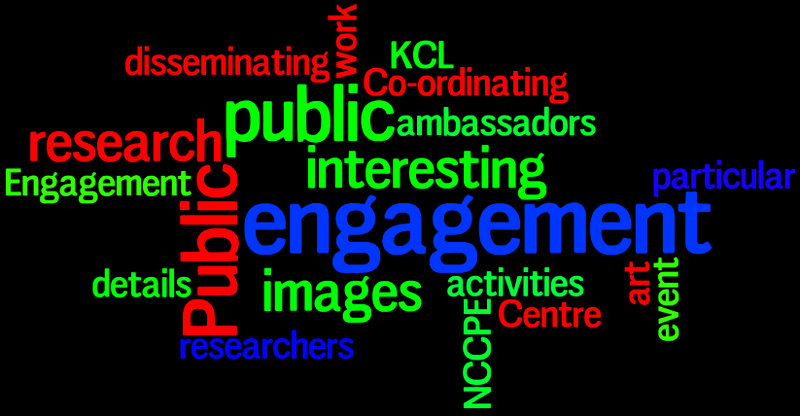 After the introduction, the morning started with talks about three public engagement projects KCL are partners or lead. What made this particular interesting, for me, was they were all about science-based research. One particular project that caught my attention, that could be implemented elsewhere, is the idea of researchers putting images from their work forward as art exhibits (or working with artists to make it into one). Added to the images would be a bit of explanation, and so further disseminating their research at same time. There are probably many researchers that have images that are suitable, and then the art work is sold on - though how would you feel if yours doesn't sell! The afternoon focused on networking between ambassadors and then a series of activities around how do you evaluate the impact of your public engagement activities.